Happy Friday! 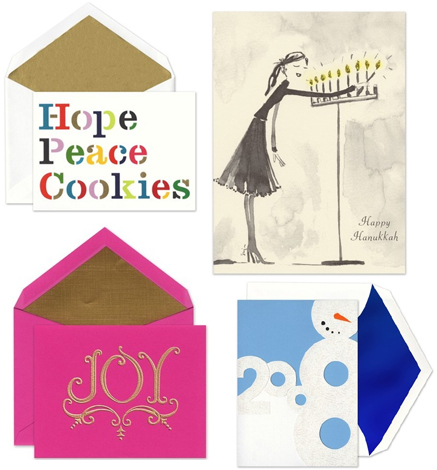 I just wanted to share the good news that cards from kate spade, Bonnie's Style Press, Crane & Co. and Encore Studios were featured in InStyle.com's Holiday Card roundup! They had some great picks, so be sure to check it out! 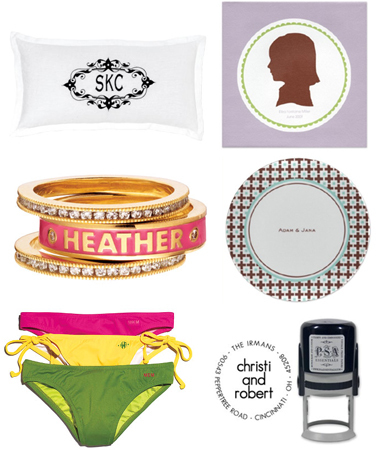 They also had a phenomenal personalized gifts feature. While none of our items made the cut, it is definitely worth checking out. To the left are InStyle.com's picks for the feature. To the right, a few of my top personalized picks from finestationery.com: custom silhouette canvas and personalized plate by fontaine maury, custom personalized stamp by PSA Essentials. Thanks again to InStyle.com for the mention! If you are looking for some stylish and unique holiday cards and gifts this year, be sure to check out their features!